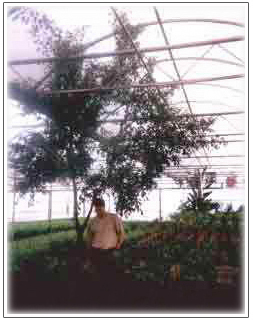 Plantman.com Interiorscape, owned by E. C. Manning, is California's premiere provider of interior plantscape services. Manning provides service to some of the better known commercial facilities in our area. Plantman plant rentals offers highly specialized design services, including interiorscape, consultation, construction, and maintenance. Drawing upon 25 years experience, Plantman.com is able to offer the designer/architect the most usable information for interiorscape design, including cutting-edge advances in the field. Manning credits his success to a diverse knowledge of plant pathology and entomology (beneficial insects) allowing for environmentally sound maintenance programs and a "wide spectrum" care for his clients.